Design Objective: Design and build an RC Aircraft for a precision airdrop competition. Our team was challenged to deliver as many payloads as possible within 10 minutes - all team members had to pilot the plane and deliver at least one payload. Total score was a function of the quantity and location of each successful airdrop. 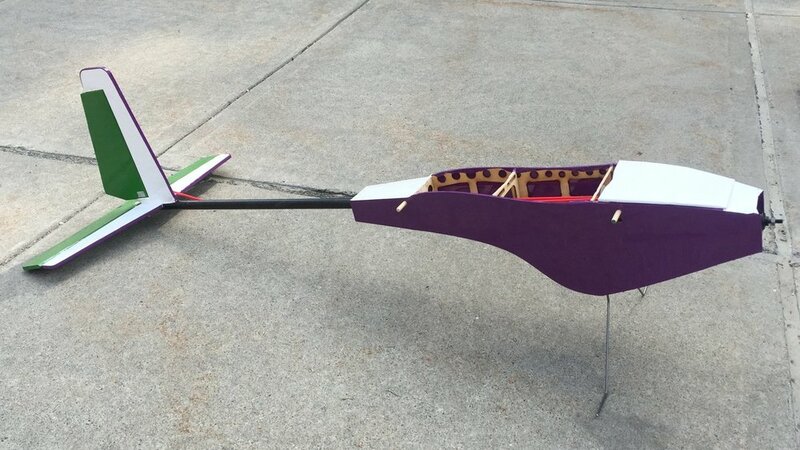 We designed a light-weight, high-lift design with the payload’s center of gravity directly below the unloaded plane’s center of gravity for aerodynamic stability. After performing initial plane sizing calculations and selecting preliminary aircraft features, we utilized numerous CAD and CFD programs to test different iterations of our design – verifying aircraft stability, weight distribution, and performance at every step. Our chosen design strategy featured a multi-section high wing with dihedral and sweep, a taildragger landing gear configuration, a tractor propellor position, and an external cargo bay. Our team performed trade studies to test different variations of plane’s features and their impact on aerodynamic stability and performance in AVL. We analyzed 4 different airfoils in XFOIL – ultimately selecting the Wortmann FX 63-137 for its high lift and gradual stall characteristics at our expected flight speed. Created detailed SolidWorks models informed by aerodynamic trade studies. Knowledge gained from deeper understanding of weight distribution and sizing brought back to AVL simulations to further refine design. 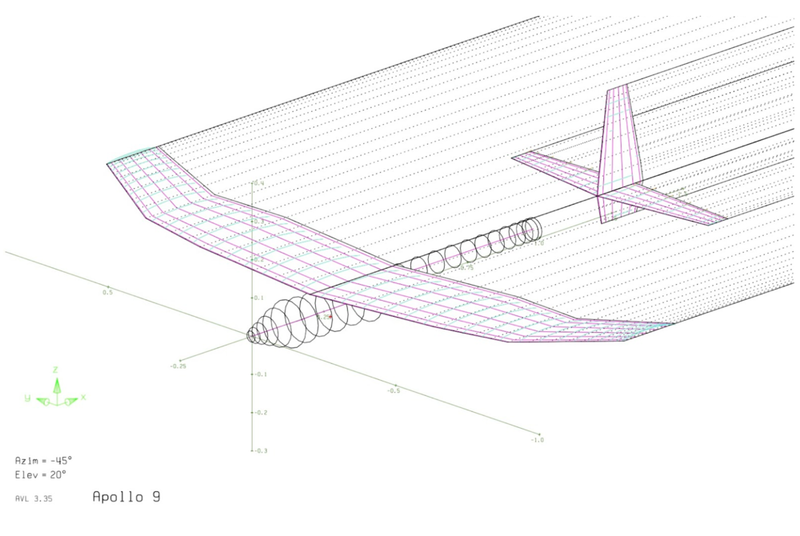 After verifying our aircraft's aerodynamics, we progressed with detailed design in SolidWorks. To streamline fabrication, we designed each piece to be laser cut in Thayer's Machine Shop, accounted for electronic mounts and wiring passthroughs, and integrated interlocking fuselage and wing members for structural stability. We manufactured each component of the aircraft in Thayer's Machine Shop and assembled the fuselage, wing, and tail sections by hand. The fuselage bulkheads and side panels interlocked to minimize reliance on glue and also featured adjustable positions for the electronic components such as the battery, radio receiver, and servo motors. After ensuring alignment and wiring the control surface electronics, we covered the aircraft with plastic MonoKote for aerodynamics and aethetics. And if you crash it….you fix it. After several successful test flights, Apollo XVIII suffered a high velocity impact with a menacing boulder. Our team sprung into action to repair our plane – we added fiberglass & epoxy reinforcements to the center of the wing, plywood reinforcement to the fuselage, and reconstructed the tail. Even though these changes added nearly 300g to the overall weight of the plane, we were still able to complete our goals on competition day.